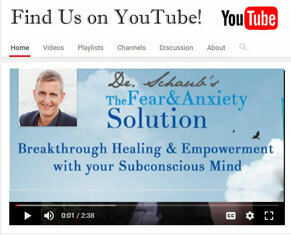 This is the 3rd of 5 videos on how to harness the power of your subconscious mind. Have you tried to let go of anxiety, sadness or insecurities, but despite your greatest efforts, you feel that something is still holding you back? Watch this interview with Dr. Friedemann Schaub to learn how you can effectively work with your subconscious mind to release deeply stored emotional blocks – and tap into your true potential.